The electric vehicle industry is at a tipping point, but policy and awareness-raising still matters. Those are some of the messages from Anne Smart, the VP for public policy with ChargePoint that has the world's largest network of EV charging stations, who spoke to Axios recently. 1. Use the "Environmental Mitigation Trust" money. Smart says a top ChargePoint priority right now is ensuring that states are aware of their opportunity to use a combined $2.7 billion from the federal settlement with VW over its diesel emissions scandal. Money from the trust can be used for a variety of transportation-related electrification initiatives, including up to 15% for charging infrastructure specifically. States must identify lead agencies by December 1 to oversee the efforts. Smart called the settlement an important way to help expand charging access in interior states and a wider range of communities overall. 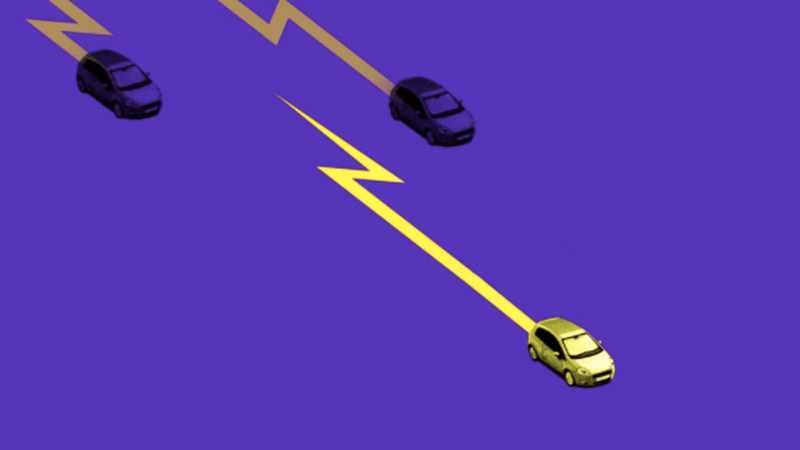 "Creating these corridors of fast-chargers will help enable more EV adoption and will also connect the coasts a bit better. We think it's really important that states use this funding to focus on ways to provide transportation electrification to all communities, to figure out how we can leverage this public funding, particularly in disadvantaged communities, and how we can bring electrification to new technologies," she said. 2. Man the battle stations against current tax plan. Smart said there's a broad and active group of players in EVs and related industries battling the provision in the House tax package that would end consumer tax credits for buying electric cars. "This is important to a lot of players and it is something that we can all agree on," Smart said during a visit to Washington, D.C., last week, noting there are "coalitions forming around the country." The effort includes environmentalists, automakers and charging companies, she said. 3. Spread the news on current availability. Two numbers that are key to widespread EV adoption are a $35,000 price point and 200 miles of range. Smart said EVs are at a "tipping point" with a suite of new offerings and announcements by automakers, but that the overall electrification sector needs to better expand awareness of what's out there — like the recent availability of the Chevy Bolt in all 50 states — and what's coming soon. "There's still a lot of room to grow on EV education," Smart said.